If you have a Sonos zone player that’s been added as an input to an existing system, wouldn’t it be cool if the existing amp turned on when playback started, and automatically turned off when the user was done? 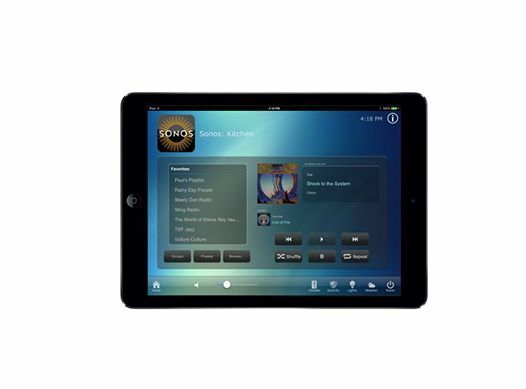 Thanks to the new Sonos Basic Driver by Remote Technologies Incorporated (RTI), that is now a possibility! This new breakthrough allows complete integration between the two, seamlessly integrating the music of Sonos and the comfort of RTI automation into one great package. Come by the showroom or give us a call for more information! The Bail Bond Release Center Thanks the Petrone Technology Group for the great work and reliability of their products!!! After working with the P.T.G. I have come to realize they are the best. Security and safety is my #1 concern, after installing the automated keyless entry and audio and video surveillance my security concerns are no more. The work was clean and the service was and still is to the “T”.